GRCC partners with Rockford Public Schools in offering afternoon and evening courses each fall and winter semester. Students may choose to take courses that fulfill the Michigan Transfer Agreement or begin their associate degree program. EN102 (1271) English Composition II, 6:15 - 9:15 p.m.
BA 257 (1782) Principles of Accounting II, 5:30 - 9:30 p.m.
GL 106 (3028) Environmental Science, 6:15 - 9:15 p.m.
PS 110 (1073) Survey of American Government, 6:15 - 9:15 p.m.
EN 101 (1845) English Composition I, 6:15 - 9:15 p.m.
BA 256 (1892) Principles of Accounting I, 5:30 - 9:30 p.m. Parking is free and available on the north side of the building. GRCC uses the entrance where the flagpole is located. The message "GRCC Kent County - Closed - Day and Evening Classes" means cancelation of all GRCC day and evening classes and activities at its downtown campus, Tassell M-TEC and Kent County regional sites (i.e. 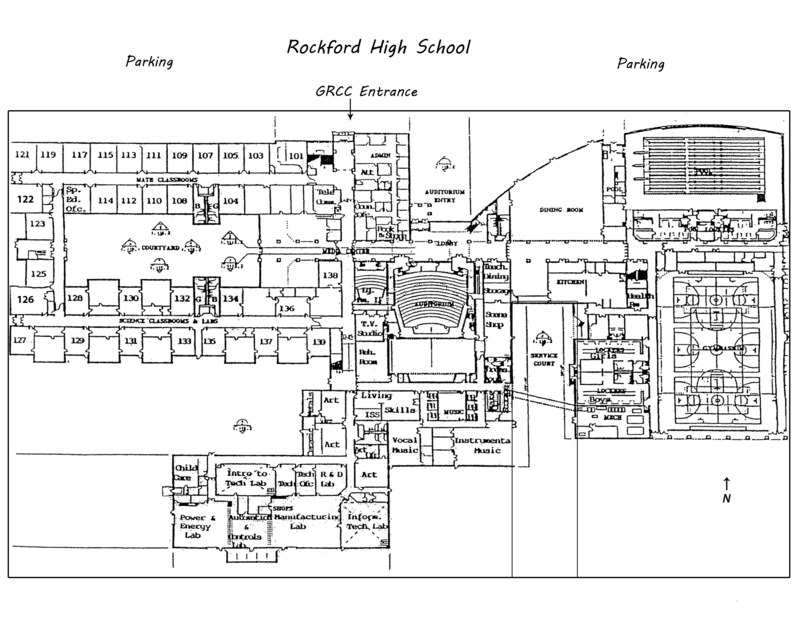 Rockford). The message "GRCC at Rockford - Evening Classes Canceled" means Rockford has decided to cancel all of their evening activities and GRCC will not hold its classes. This determination is normally made about 3 p.m. for evening classes. On the other hand, if Rockford has canceled evening activities, but GRCC can still hold its courses, then GRCC will hold its courses at the high school.